The Bible: Good, Bad, or a Spiritual Buffet? Those who know all the answers haven’t heard all the questions. When it comes to those describing themselves as spiritual but non-religious, it seems that only the Bible is the object of their criticism, as opposed to the writings of any other religion. And it’s often specifically the Bible that is implied when people try to generically discuss religion and religious texts. One can hardly dismiss this as a strictly western or American phenomenon in this age of the internet, so it would seem that there is something about the Bible and Christianity that separates them from all others. If this is because the Bible is evil, then it begs the question of why other writings such as the Quran are somehow less evil. The same for if the Bible is good; is it less good than other sacred writings, in spite of containing the teaching that God Himself became one of us in order to free us from the clutches of Satan? However one might respond to such questions, the fact is that the Bible and Christianity are at the forefront of internet spiritual discussions. And like anything else discussed in countless forums, blogs, and comment streams, there is a lot of disinformation, misinformation, and really terrible logic being applied, along with behavior that shouts louder than all the words... on both sides of the issue. So I am endeavoring in this effort to give my perspective in as irenic and knowledgeable a manner as I am able. Who am I to speak of the Bible and its teachings? Well, who is anyone to do so? Many who presume to know the Bible have hardly read it beyond snippets provided by websites that exist only to bash and flame the Bible and Christians. Even those who can rightly claim some meaningful training in Bible-related studies often err logically or historically or linguistically, and it is the right of anyone with a good counter-argument to challenge their claims. 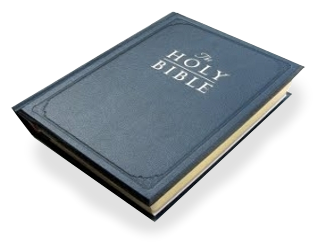 I have studied the Bible intently for over 40 years. Being the sort who never accepted just-so claims, I have always pursued the "difficult passages" of the Bible and sought to peel back the layers. My studies began with the reading of the entire Bible in at least three very different English translations, to familiarize myself with the text. The first topical study was of young-earth creationism (YEC) as opposed to various attempts to compromise with prevailing evolutionary dogma, called old-earth creationism (OEC). I found fault with some YEC teachings as well. Since then I have, to the best of my ability, studied every other puzzling passage in the Bible, many times over. Does this mean I’m right and everyone else is wrong (a claim everyone makes, whether they admit it or not)? Of course not; it simply means that I am confident in my stance on these issues, the same right everyone else claims for their beliefs or lack thereof. I can believe you’re wrong about something without judging your soul, your character, or your motives, and I expect the same courtesy in return. Neither does it mean I never change my mind, as I have spent the better part of four decades daring to question everything I believe. The fact that I reached a pro-Bible conclusion is not proof of my being in error; a change of mind is not necessarily an improvement. Yet I have in fact changed my mind about a variety of Biblical teachings. What follows is my opinion, and I speak for no one else. I believe my conclusions are based upon rational and logical premises, though I also believe that as a fallible human being I could be wrong. However, I expect the same diligence in rebuttals that others may make. I did my homework; you do yours. Critiques of the Bible necessarily cover a huge amount of material, which I cannot possibly address in a single episode or document. So I will try to touch on key concepts and the "worst of the worst", the "show stopper" criticisms, with links to more extensive writings of mine at the end. These are offered as numbered points, generally but not strictly in order according to which points arise from prior points. I will abbreviate the Testaments as OT and NT. This is my favorite catch-phrase, because Christianity stands or falls on the matter of Jesus rising from the dead. Disprove that, and you destroy Christianity and the Bible. But in case you consider this an easy assignment, consider the fact that many have tried this before you, some of them atheist lawyers with strong motivation to find Jesus "guilty" of staying dead or never having lived at all. If Jesus did indeed rise from the dead, then everything else in the Bible stems from that fact, before and after this historical event at a point in time. So what about Jesus, besides rising from the dead? The primary criticisms are whether he claimed to be God in the flesh, whether he accepted people’s worship of him, and whether he was speaking literally when he said "I am the way, the truth, and the life; no one comes to the Father ("God") except through me", or "I and the Father are one." It is impossible to read the Gospels (Matthew, Mark, Luke, and John in the NT) without concluding that Jesus did in fact claim to be God, accept worship as God, and is the only way to be reconciled with God. Jesus also said and did things that are less than positive and loving, to put it mildly. When he saw the merchants in the temple, he overturned their tables and chased them out with a whip. He routinely insulted and condemned the religious leaders of his day. He rebuked his own disciples for cowardice, disbelief, and stupidity. He predicted that he would rise from the dead. He promised that one day he would return and give the wicked what they demanded: an eternity away from God in hell. So we have a conflict about Jesus for those who believe him to have been a good man or mere prophet, or an ascended master, or even a loving example for the rest of us. He is often contrasted with the God of the OT, but in light of the negative things just mentioned, how is he an improvement? Is "degree" really better than "kind"? The only solution, or at least the most popular among critics, is to claim that Jesus never said or did any of those negative things. How would you know? What objective standard do you use in order to separate genuine from spurious, true from false, good from bad? One’s gut or heart is hardly objective, regardless of the number of people allegedly sharing similar beliefs (the fallacy of "appeal to popularity"). A truly objective skeptic would base authenticity on textual, historical, and linguistic evidence, as for any other ancient writings. From my research, it appears that the majority of secular scholars concede that Jesus did in fact exist in the general time proposed by the NT, and that he was killed by order of the Roman governor Pontius Pilate as the NT states. Likewise, the text of the NT is at least as well-attested as for any other ancient writings, such that the NT can only be rejected as historical documents by the same criteria that all others are rejected. The fact, by textual analysis and other scholarly methods, is that the text of the NT is only disputed in a few minor passages (e.g., the "long ending" of the Gospel of Mark, certain formal names, and weights/measures/currency). Virtually nothing of its content is challenged on any objective or logically consistent basis. So it is inescapable that the NT in its earliest Greek manuscripts is a reliable historical text. Now the objection would be that though the words are authentic, the writers could have lied. But if so, the Gospel writers were the poorest liars. What kind of liars would write that Jesus condemned liars? What kind of Jews would portray themselves in such unflattering terms as being stupid, blind, faithless, or cowardly, or that Jesus treated women equal to men? What kind of inner circle of Jesus’ disciples would cower in fear after Jesus’ death, then suddenly go around proclaiming his resurrection, even if it cost them their lives and property? Some of those who put their faith in Jesus did not believe him before his death and resurrection (including his own brothers such as James... yes, that James who wrote the epistle of James), so this cannot be attributed to a group delusion or extreme grief. In fact, at one point his whole family came to take him home because they thought he had lost his mind! Such people don’t invent a resurrection. Given the lack of evidence that the Gospel writers lied or were suffering from a hallucination, the burden of proof for rejecting the Gospels rests with the critics. Who is anyone to say what Jesus would or should have said or done? All this does is shift the standard of truth rather than define it; it makes all the critics play the part of God in defining what is true or honorable or likely. Why should I listen to them instead of the Bible? If they claim that the Gospels do not accurately convey the actual words and deeds of Jesus, they must do more than make the claim; they must back it up with evidence. And such evidence must be subjected to the same degree of relentless criticism and lofty standards the critics used against the Bible. Simply offering a fragment of a writing that says Jesus did or said things that contradict the Bible is hardly evidence; put it through the proverbial ringer as is done to the Bible. It should go without saying that these principles of evidence and proof apply to the entire Bible, not just the Gospels or the NT. What are the objective methods used to prove or disprove its content? Do experts in ancient languages, textual transmission, or archeology all agree on a point? And are these experts chosen from a variety of motivational backgrounds, rather than just critics or skeptics? In other words, "stacking the deck" is another fallacy. Or maybe you’re just bashing the Bible because you fear the truth; that door swings both ways. This is also an example of the "complex question" fallacy, meaning it cannot be answered without the responder self-condemning. The best known illustration is the question, "Have you stopped beating your wife?" Regardless of the response, the person is forced to admit guilt. Likewise, how exactly is the Christian to defend the Bible without it being labeled "making excuses"? If the critic defends their beliefs, are they too "making excuses"? This charge is thus worthless as a criticism, and is also the fallacy called "ad hominem" since it attacks the defender’s motivations, real or imaginary. To critique someone’s beliefs is to demand that they "make excuses". If you don’t want excuses, don’t make accusations. By whose standards? Yours? Who are you? Good parents don’t let their underage children define right and wrong, because the children are not developed to the point where they are capable of fully understanding all the considerations necessary to make such judgments. Yet if the children run away, the parents can no longer protect them. So because people have insisted that they are not God’s children but fully-aware adults, God allows them the freedom to run away from him, even to defy him and make up their own rules for morality. How has that been working so far for the human race? In ancient Japan for example, an honorable way to die was to disembowel one’s self, and upon failure to complete the act, to have one’s head cut off by someone else standing by with a sword. Do you stand in judgment of them as evil, since by your personal standards they were barbaric and violent killers? Then why do so against God for various violent acts in the Bible? Is your personal gut feeling or judgment the standard by which not only other cultures but your own creator is to be held? And can anyone with such a belief claim not to be proud? Pride is what has driven nations into war, tyrants into power, and many other evils throughout history. To say that defying one’s creator is either a good thing or is not pride, is self-delusion. If you are the standard of truth and good, you are proud. Which parts? Most of what is claimed to be a double standard is based upon either lack of contextual understanding or, again, imposing personal beliefs as superior. Well, what about animal sacrifice for example? People eat meat to live, and none of the sacrificed animals were wasted. If today I thank God for the steak I’m about to eat, is that evil? Why not? And is death the worst thing that can happen to an animal, or even a person? A quick death is surely to be preferred over prolonged suffering, is it not? And what if there awaits "on the other side" unimaginable joy and comfort? Is this life all that really matters? A good illustration is a scene from one of the "Ice Age" animated films, where an animal named Scrat dies and finds himself in a kind of heaven. But suddenly he is pulled back down to earth due to another animal giving him CPR. Scrat was understandably furious; he preferred paradise over this life. But from the other animal’s perspective, it was the kind and loving thing to do. See the problem? If you only view life from this realm, you only see one part of the whole picture, so any judgments you make on that basis will be made in ignorance. God commanded that people not commit murder, so why isn’t it wrong for him to kill people? First, the definition of murder: it is the wrongful taking of another person’s life. The objection quickly comes: "All taking of life is wrongful" (often, hypocritically, by those who support abortion rights). The response comes as quickly: "Says who?" Even the most jaded people can accept that sometimes a "mercy killing" is truly the right thing to do. And if God knows that a person is a threat to others, has he not the right to judge whether that person should be taken out of the world? But what about when God told Abraham to sacrifice his son Isaac? First of all, nobody died; he wasn’t actually sacrificed. Second, look at Abraham’s own thoughts on the way to the sacrifice, as told in Hebrews 11:19: "Abraham determined that God was able to raise the dead." In Genesis 22, Abraham told Isaac that God would provide the sacrifice, and that’s exactly what happened. As Abraham lifted the knife, God stopped him, and he showed him a ram nearby to sacrifice instead. God never intended to allow Abraham to kill his son. This whole incident was a foreshadowing or "type" of what Jesus would do many years future, and that is the reason this incident is in the Bible. Keep in mind that I’ve been talking about when God directly orders the taking of a life, not all the accidental or disease-caused deaths. But why, you may ask, is there death and suffering at all? This is a fallacy called "false dilemma", where the possible choices are arbitrarily limited when more actually exist. It is based upon a false presumption: that the suffering and death we experience is the way God intended the world to be, and that if he couldn’t stop it from becoming less than perfect, it’s either because he’s evil or powerless, and this in turn makes him a failure as God. But there is more to this than meets the eye. Careful study of the whole Bible paints a picture like this: God gave mankind authority over the world, which was in all respects a paradise. But he created them for more than simply to exist; he wanted to share his love with them. However, love must be free in order to be genuine, and such freedom necessarily includes the ability to choose not to love. Even if we could force someone to love us, we wouldn’t do it, because it wouldn’t be genuine. God won’t do that either. So by placing one simple restriction in the Garden of Eden, God was certainly not tempting Adam and Eve to sin, but making their choices genuine and free. True love is vulnerable to rejection. But why, the objection comes, would God create the world knowing the outcome would be mankind’s rejection of his love? First of all, to refuse to create us unless we made the right choice is nothing more than making puppets, and what would be the point? Secondly, consider a concept called "possible worlds". In a game of chess, the set of remaining possible moves changes with each move. An expert player can think ahead to many possible scenarios. Likewise, God is the ultimate expert and considered all the possible scenarios for the creation of the world, and what we have was the best possible outcome. Given that free will was involved, and that the first humans chose poorly to say the least, it should come as no surprise that the world was doomed at that point, through no fault of God’s. And God could have left us all to our fate as children born to slaves, but he chose instead to begin a long and complex plan of redemption. This plan required long ages of time and steps toward the goal. By way of illustration, picture people pulling a heavy cart up a hill. Occasionally they stop to rest, so they put blocks behind the cart’s wheels. The blocks do not pull the cart but only keep it from rolling backwards. And so it has been with God’s plan of redemption. The "blocks" were rules or environments that changed from one age to another, such as the Flood or the laws of Moses. They were stopping points along the way, a means of keeping mankind from slipping backwards. Of course there have been setbacks; remember the nature of free will. But the goal will be reached, because God knows all the possible scenarios. Could God just reach down and yank us all into line? Sure. But love is too valuable to throw away, and the redemption of mankind from this world our first parents handed over to Satan is too important to abandon for comfort in this temporary realm. Or, you could just reject all of that and choose to believe God is evil, because you are the measure of all things and know all there is to know. And you could accept cycles of history from other belief systems but not the Bible, because... reasons. 7. What kind of God demands worship or sends you to hell? Many people have a big problem with the very idea that any benevolent being should accept or demand worship. But this depends on understanding what worship is. Think of it as gratitude and respect, even love, for our creator. Of course we don’t worship fellow human beings, but God is not a mere mortal. Jesus is God becoming one of us, to show us the way to relate to God, even if it meant suffering and dying a horrible death though he’d done nothing wrong, and without our asking him to do so. And he did it to give us a true choice between God and the wanna-be God, Satan, who has had control of the world all this time and made it something like hell. Is this not worthy of our gratitude and respect and love? Do we not owe Jesus our loyalty? To do otherwise is to be ungrateful, proud, and self-absorbed. And for what gain? Remember the discussion of "possible worlds"? The nature of God is such that if anyone wants to be away from him for eternity, God has to provide that place of "not God"; we cannot create it ourselves. And since God is the source and definition of all that is good, then the place of "not God" will have nothing good in it. But God does not send us there; we do, through our choice. It’s a simple one but a valid choice nonetheless: God or not, good or not, happy or not... you get the idea. There really are some true binary situations, true black-and-white choices. If there were a third way, wouldn’t God provide it? Wouldn’t he tell us about it? And if you believe that the mere notion of humans not being all-powerful is slavery, then prove your power and create "door number three". Don’t be like children who consider the fence around the playground a prison, when in fact it keeps them safe from the cars zooming by on the other side. Are you God? Then prove it, starting with not needing to read any of this since you already know everything. But I implore you not to be so stupid as to choose hell just to spite God, who has done nothing wrong to you. And if you think he has, then prove it. Take your creator to court (but maybe first consider reading the OT book of Job). 8. What about all the conflicting translations and denominations? The multitude of translations is irrelevant; we have access to manuscripts in the original languages for the NT within a hundred years of the originals, which is phenomenal for any ancient documents. What matters is ensuring accuracy in the lexicons to establish the semantic range of the words. There are various disputes over text "families", but none materially affect the content. So we can get around translation bias if we can read the lexicons and interlinears. And if all this jargon is unfamiliar to you, you’re not a real Bible critic. I personally did this for the entire NT, which you can examine at one of the links in the endnotes. Interpretation is as much art as science, as we can see in all human endeavors from politics to law to novels to religion. Unless one thinks it acceptable to force everyone in a group to think the same way in every detail of the group’s belief system, one should not be surprised that Christians have formed subgroups around various details of the faith. What would you have the Christian community do, skeptic? Aren’t we already accused of groupthink? So we’re condemned for groupthink and also for failing at groupthink? I should add in this section the issue of the Roman Catholic Church (RCC), which in my opinion is not a denomination because it is not Biblical in some very critical aspects of the faith as taught in the Bible. Yet all Christians are smeared with the RCC’s teachings and actions, painting us all with the same broad brush... another fallacy, this one being guilt by association. Jesus said, "By their fruit (actions) you will know them", and there is little doubt of the RCC’s distance from the teachings of Jesus. Let the RCC’s followers defend it; they have nothing to do with me. So that’s Christ’s fault, or the Bible’s fault, or all Christians’ fault? Do you accept blame if one of your relatives is a criminal? And what about evil done by atheists, can we blame atheism for the much evil done by some of them? Here again we see guilt by association. Jesus never taught any of his followers to do evil. The objection will come that this is the "no true Scotsman" fallacy, but that would be in error, since the very definition of a Christian is one who follows Christ... not one who defies and shames him. If I put any person or group’s writing under the same scrutiny as skeptics have done to the Bible, I can practically guarantee that I’ll find many contradictions and inconsistencies. But, says the skeptic, this is supposed to be the Word of God, right? I would respond with a reminder about us not having the original autographs (hand-written originals), but then you’d retort that God couldn’t manage to protect his own divine words. And then I’d tell you something you didn’t know, but should have known: that not even Jesus and the NT writers had the original Hebrew Bible to quote from. By the first century the Hebrew text was lost and replaced by a Greek version called the Septuagint or LXX. And they all considered it the Word of God. So what matters to God is not the exact wording but the meaning, the content. And if the LXX was good enough for Jesus, it’s good enough for me. Do you really think that a discrepancy of the number of troops in the Israeli army means the Bible is invalidated? Then I demand that your own beliefs be held to the same standard; even one little thing that doesn’t add up means your entire belief system is shattered. Likewise for if you cannot answer every question put to you and your group for thousands of years. I do hope you recognize sarcasm and its purpose here. I’ve barely scratched the surface of course, but I offer this as at least a proof of concept for my premise: that there are valid answers to most skeptic’s charges by any rational standard. I cannot answer everything about my faith, and neither can you. But I think that Christians and the Bible have been on the witness stand long enough; now it’s your turn. Defend your beliefs, including your many assertions about what God is supposed to do, what you would do better, and above all, how your belief system is demonstrably more true than mine. Convince me that I should believe... or not believe... as you do. Show me something better than "Jesus loves me and will end all this suffering someday, and all I have to do is trust him and believe he’s God." Top that.